Lake Kussharo is one of the biggest lakes on Hokkaido,Japan. It is situated in the South Eastern part in the Akan Prefecture. 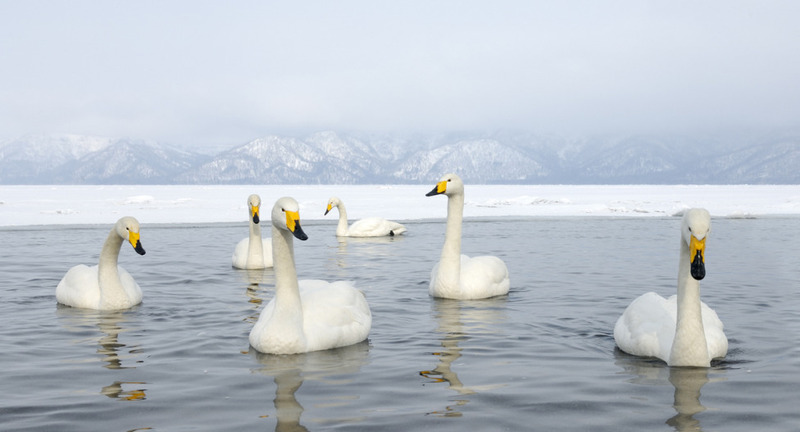 Every winter a few hundred Whooper Swans are coming to the lake because there are, no matter how cold it is, a few open spots on the shore because of the hot springs.